One of the fastest growing economy and a popular tourist hideout. Saudi Arabia remains a key destination for job seekers, tourists and for trade and commerce all round the year. Saudi Arabia drives thousands of people every year for getting better job avenues and perks. Whether you need a valid work permit or plan for higher studies or business, attestation of certificates is mandatory. Not being a member of Haugue Convention, attestation procedure is must here, Saudi attestation provides the complete support to attest your Educational, non - Educational and all other Certificates from HRD, MEA, GAD, SDM, NOTARY, HOME MINISTRY, EMBASSY and all other related Departments in India. 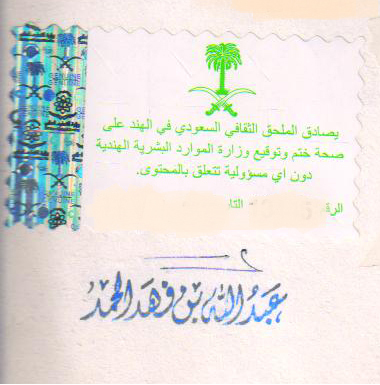 It has to be taken care that before you submit the document to the Saudi Embassy, you have to attest the Certificate from local Home Department. Make sure the authentication is done by the respective state where the degree is issued, later the certificates has to be sent to Delhi for MEA (Ministry of External Affairs). 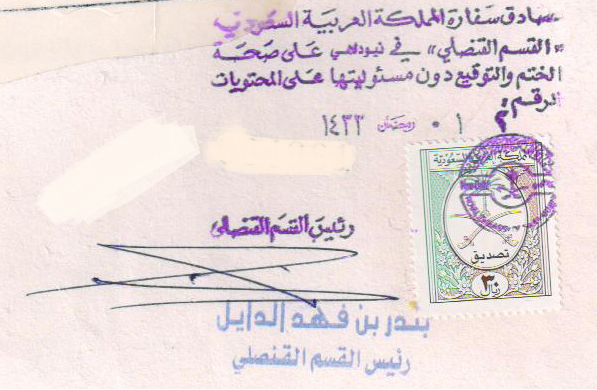 Saudi attestation process is a bit stringent and confusing, but we can assist you to get it done without any hassles. Our team at Arabian Attestation & Travels will make things easy and take care of all your attestation needs. We are the one stop shop for all your attestation needs. The Saudi Attestation process undergoes in a choice of locations in India including, Chennai, Bangalore, Mumbai, Delhi, Hyderabad, Lucknow, Jaipur, Bhopal and Kerala. Just give us a call or drop us a mail and our team of professionals will help you out with the attestation service.